So much of our lives is online now, we have to plan our digital estate as carefully as we plan the distribution of our property and funds after we die. All our family bills come to me by email it seems, and I pay all the bills online. What is quick and routine for me now would be a new task for my wife should I pass unexpectedly. She’d have to spend time calling each vendor seeking the balances and how to pay. For that reason I have setup my Google email account to email my wife with my Gmail password. Should I go inactive for a period of time I set, Google emails me. Should I fail to respond to that email, they will email my wife with my account access information. I am reminded monthly I have this setup in case I want to make any changes. I can have a document in Google Drive that I update periodically with information that I want her to have. I can set a reminder in my task program to review and edit that document periodically. As for the passwords and URLs to the various bills I pay each month, I store those in Lastpass, a secure password vault. That lets me keep my passwords in one secure digital vault. I can access all of them by remembering just one password. It has a free level of service, and the premium is $12 a year. Lastpass’s Emergency Access lets a loved one request access to your passwords. You are immediately notified of the request, and can decline the request. On the other hand, if you fail to respond in a time interval you have designated, they receive access to your vault and all the passwords. The loved one must have a Lastpass account, but that is free. Once they have access to your passwords they have access to your emails so they can receive online bills. And they know the passwords to sites like Dominion Power and Washington Gas so they can pay the bills and keep the utilities on. Loved ones will also have access to your photos if they are stored online. They can easily download those and move them to their own accounts. They will likely want to keep your Amazon account current too. When you purchase Kindle books, music, movies and TV shows, you are not purchasing the actual content, but rather a license to consume that content. You can’t will an ebook to someone since you don’t actually own the book. The license to ebooks, music and video content are managed by the company you purchased the content from. Should that company disappear, so too would access to that content. To keep Uncle Jay’s streaming music service and his collection of classic movies, you will need to keep his Amazon (or iTunes, Google Play etc.) account active. From what I can find online, Amazon accounts do not expire. Policies can change, so loved ones should perhaps change the active email address on accounts like Amazon to their own email addresses so they will see warnings should accounts close due to inactivity. It wouldn’t hurt to log in and then out of each of those accounts every month or two. This is all presupposing companies like Amazon and Google will still be around when we are not. 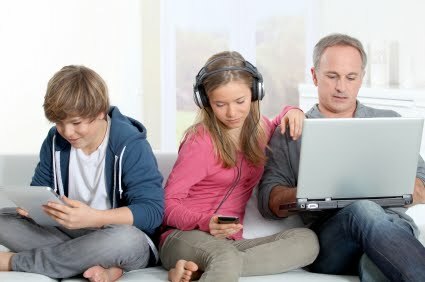 Even if they are not, we will be using someone’s online services when we go, so it is a good idea when signing up for a new service to have a plan for alerting loved ones of the existence of the service, the kind of content you have on the service and how they can access the service. Finally, think about the social sites you regularly visit. When you pass, they will show your failure to post and your online friends will wonder what became of you. Give loved ones the ability to log into those accounts as well, so they can let your online friends know of your passing. A couple of years ago a friend from my 30s posted his joy at being part of a sailboat crew ferrying a boat to Bermuda. He must have shared his login credentials with his parents, because a week later they posted to his account the sad news of his having been swept overboard and lost at sea. Facebook even has a way to turn your page into an “In Memoriam” page. These pages remain but can’t be added to. Nor does your birthday appear in reminders. I accidently wished a friend a happy birthday one year, forgetting he’d passed a couple years before. Had his family known about memorializing the page, this wouldn’t have happened. The paper is not running a Family Tech column this week. Hence, no links or column. No sooner does the holiday gift giving season end then the consumer technology manufacturers meet in Las Vegas to try and sell what they think we will want this coming December. Yes, CES, formerly called the Consumer Electronic Show, was held last weekend. This is an annual column, and reading past ones just underlines that we can’t expect everything we love at CES to appear. Or the products may appear and not find favor with the buying public. A couple of years ago 3D TVs were the rage. Did you ever buy one? Last year I wrote about the Code-a-Pillar, a toy caterpillar from Fisher-Price that taught elements of programming. We know one family that bought one, and we may buy one soon as a gift. Fisher-Price again this year has an intriguing device-- an upgrade actually to their Smart-Cycle exercise bike for kids. It has a holder for a tablet; previous versions required a TV. It comes with an adventure game with literary value, with others available for only $5. Kids can play a game, learn a little and burn off some calories -- all at the same time. It will come in June or July for $150. Coming soon to your health club are exercise bikes with VR helmets. Imagine biking along San Francisco Bay, across the Golden Gate Bridge and down into Sausalito. On your return a setting sun lies to your right, and as your exit the bridge, a full moon hangs above the TransAmerica Pyramid. You’ll enjoy the ride I described. I know I did many times in my 30s. But on mine, I stopped for a beer in Sausalito. Lego Mindstorm robotics kits are meant for older kids. Their new Lego Boost is a $160 set for the younger set that contains components that move, interact with a phone or tablet app, and can be augmented by regular Lego bricks. Kids can make up to five devices after downloading the app that provides instructions and programming for the device. A big winner at CES was Amazon’s Echo, the voice assistant device. Both Ford and Volkswagen announced they will be integrating Echo into their cars. This will give you the ability to give voice commands to listen to music, podcasts, books, navigate and order toilet paper, all on your commute. And Hyundai announced a feature for Google Home where you can say to some of their models “OK Google, start my car.” It will start and run the heat while the doors remain locked. On these cold mornings I regret my car does not have this feature. Voice commands are coming into the home and making home automation viable. One new product is a trash bin you can open with a voice command as you approach it with garbage. Mattel has its own voice assistant designed for children. “Aristotle” works hard to understand your child’s less than perfect speaking. It can play stories, make soothing sounds and generate favorite colors. Its voice is described as that of an eager, twenty-something teacher. For toddlers an add-on camera makes it an encrypted, secure baby monitor. An adult mode ties into Amazon’s Echo and lets parents log feeding and diaper changes and reorder supplies. Manufacturers are recognizing that baby boomers are getting older and offering high-tech canes and wheel chairs. The cane can report if the person has fallen and, with a built in GPS, let loved ones know where they are. The award winning wearable this year was a breast pump that can be worn under the clothing. Samsung showed a new high-end Chromebook device. Do you provide tech support for someone who can’t resist installing toolbars and opening every email attachment from strangers? A Chromebook might make their and your life easier. Desktop PCs are getting a boost with wonderfully large, sharp and even curved monitors that bring a new experience to desktop computing. Want to take it with you? Razor has a laptop with three fold-out monitors. Pretty cool, unless the guy next to you on a plane is using one. And it wouldn’t be CES without manufacturers bringing forth things they hope we’ll decide we need. Like a drone that flies at 100 mph. Or a hairbrush with microphones and sensors that listens as you brush to determine if your hair is too dry and brittle--under $200. There are Bluetooth connected toasters, a toothbrush that measures your brushing efficiency, VR everywhere and more. This column will appear on this website January 14, 2016 at 9 AM. This column will appear on this website January 6, 2016 at 9 AM.